Five times more absorbent than cotton, this virtually indestructible soft as flannel fabric is lightweight yet warm. Created by Monarch, this robe also uses 1/3 of the energy to wash and dry. Our exclusive finishing process will leave your guest comforted and relaxed. 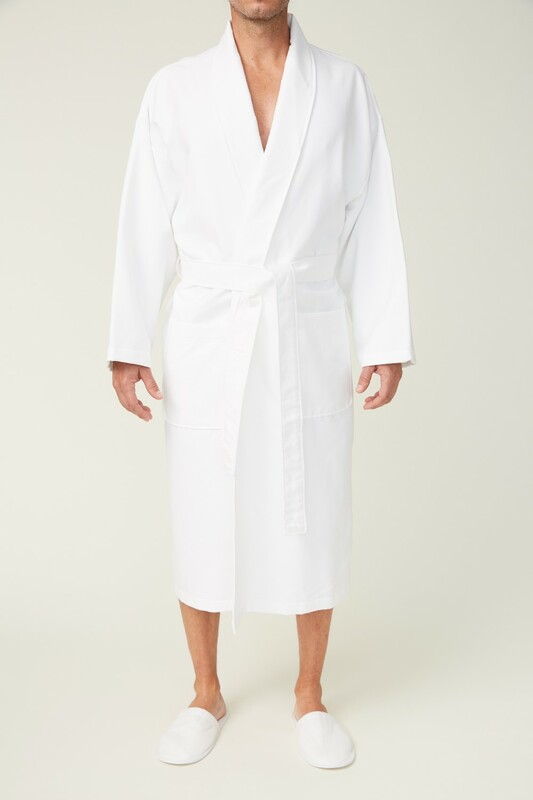 Bathrobe details include adjustable belt loops for flexible belt height, patch front hip pockets and hanger loop for convenient storage. Monarch Cypress is an industry leading amenity manufacturer and supplier. We service Hotels, Spas, Inns, B&Bs, and Hospitals.